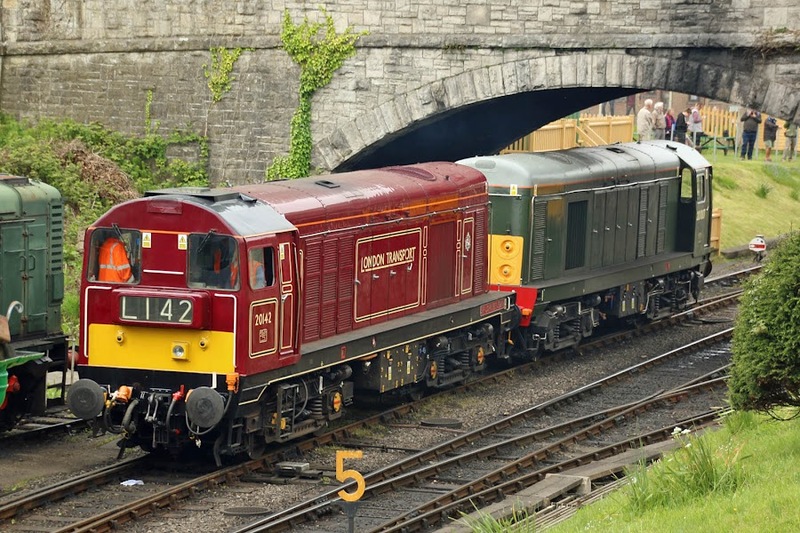 A look at the visiting locomotives. 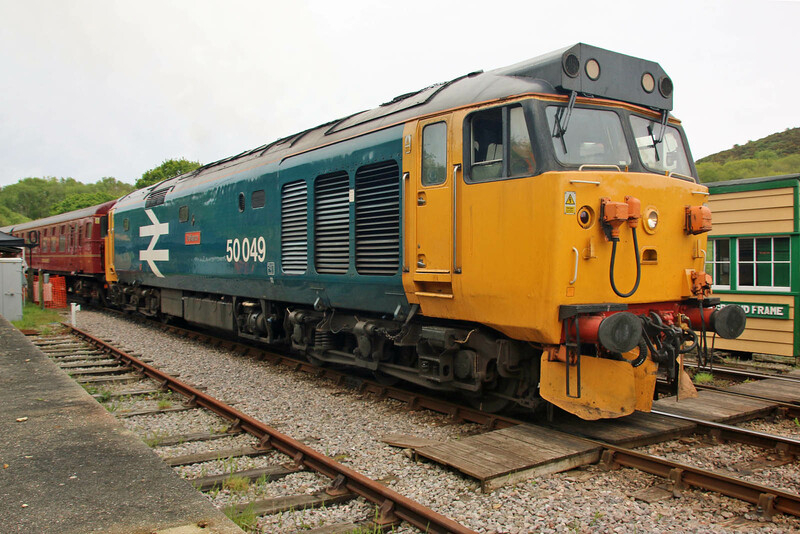 More coverage to follow over the forthcoming period. 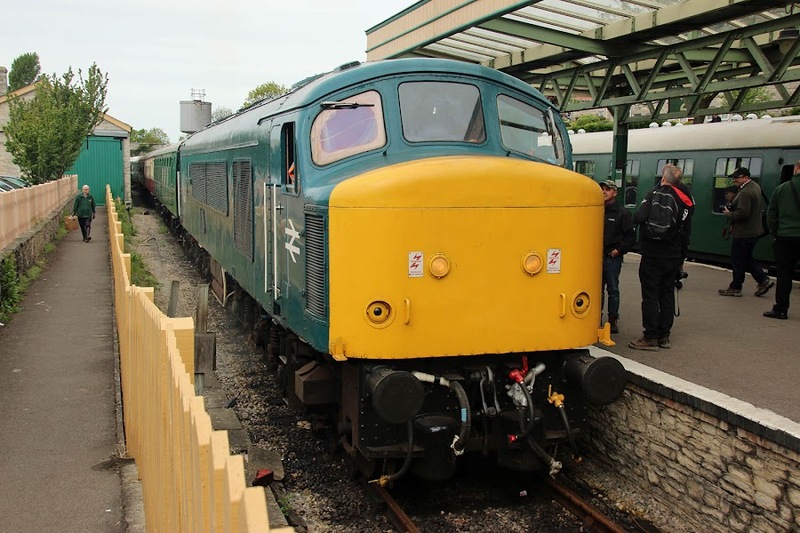 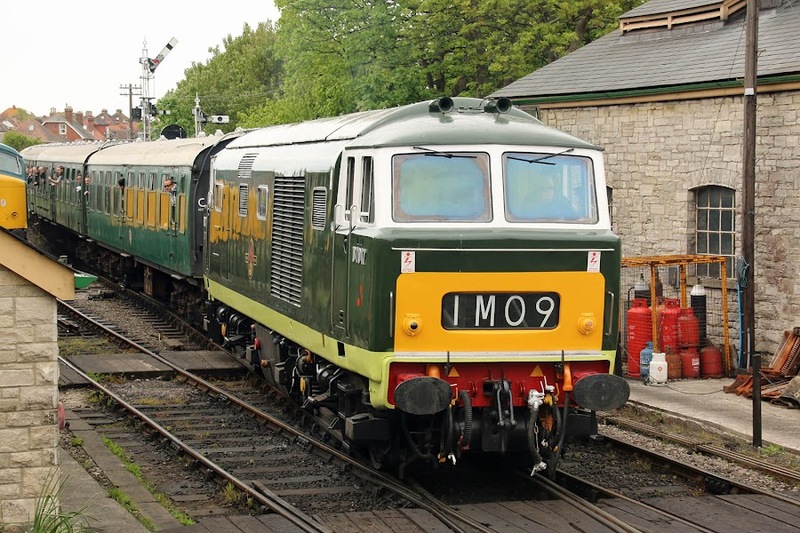 Class 35 Hymek D7017 arriving at Swanage. 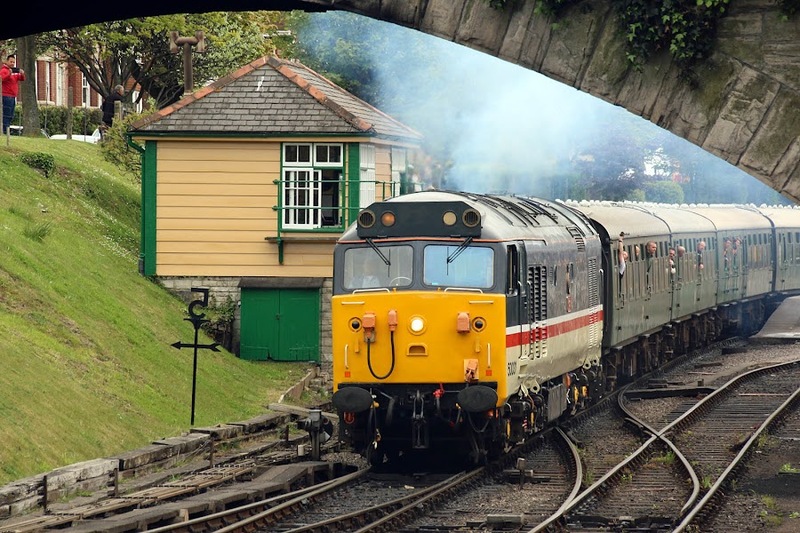 20142 + 20007 coming on to a train at Swanage. 45041 on arrival at the terminus. 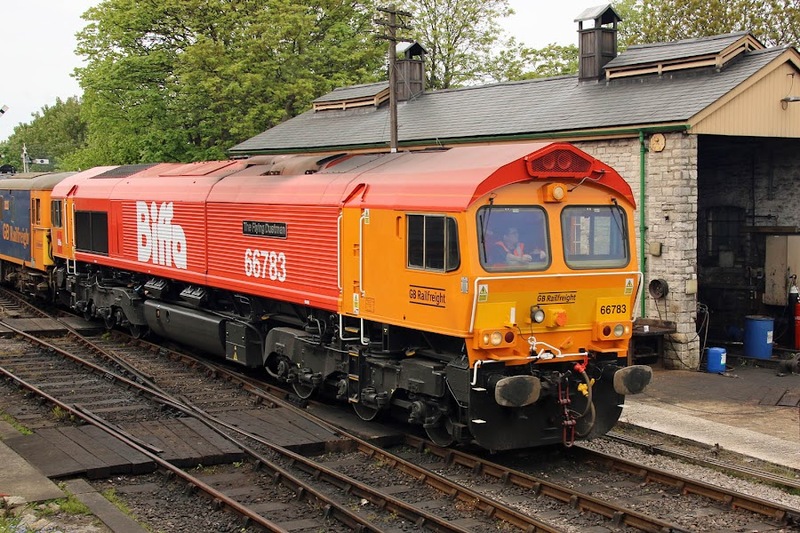 Recently repainted, renumbered and named 66783 (formerly 66058) The Flying Dustman arrives at Swanage. Last in class 50049 departs Norden for Worgret Junction and Wareham.